A walk by Westminster Bridge to test my new 80-400mm lens with my D810 offered the usual fair of views of the London Eye, seagulls and boats on the river, until I looked at Parliament. 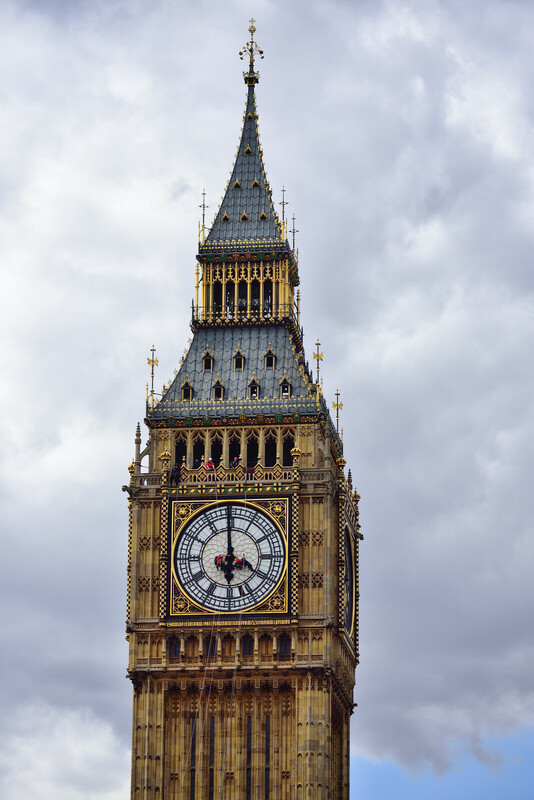 I took some pictures of “big ben” (actually the Queen Elizabeth Tower, the bell is known as “Big Ben”) and realised there were some people on it. 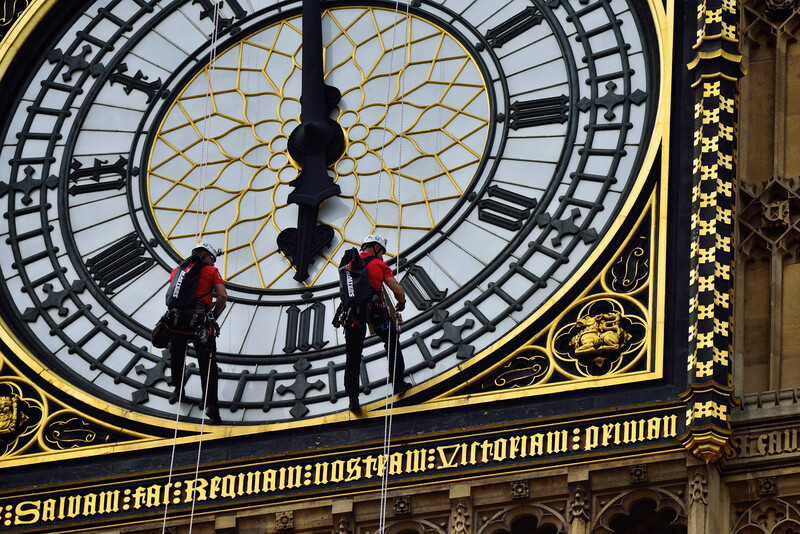 The great clock on the tower has been getting a wash from cleaners this week, who are bravely abseiling down the 314ft tower to check the four dials of the iconic timepiece. 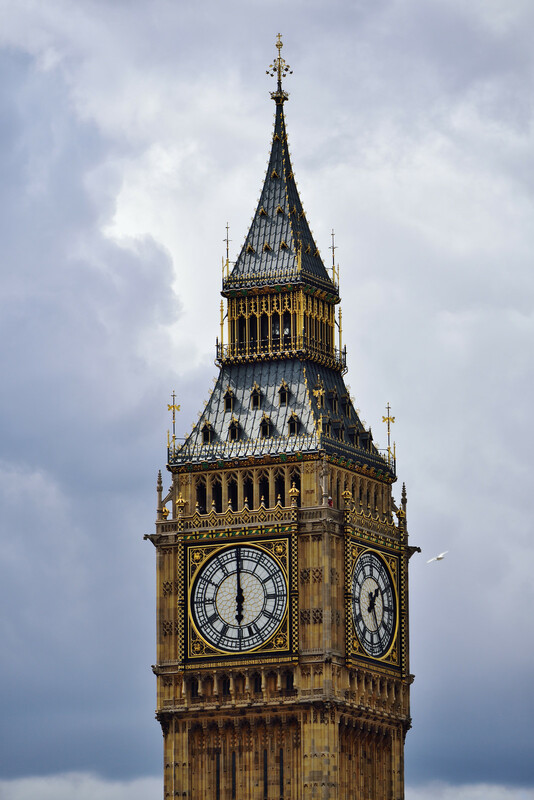 The clock was installed in April 1859 but at first would not work as the cast-iron minute hands were too heavy. 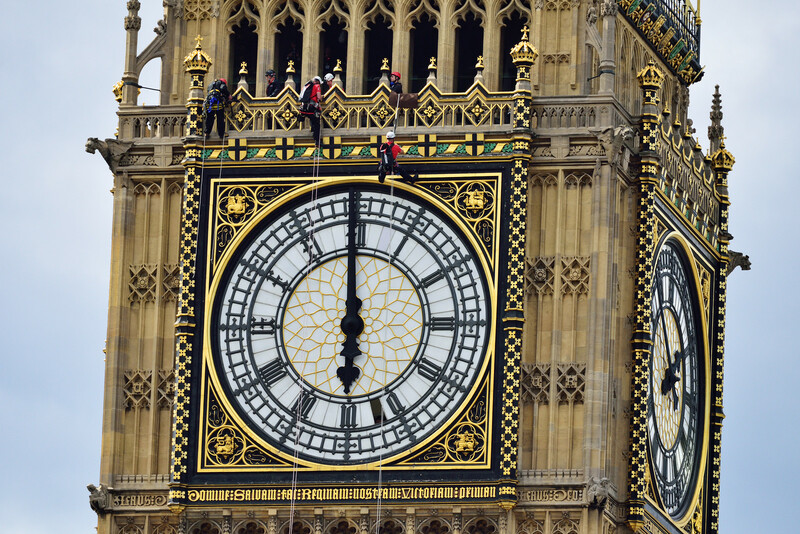 Once they were replaced by lighter copper hands, it began keeping time in May 1859. 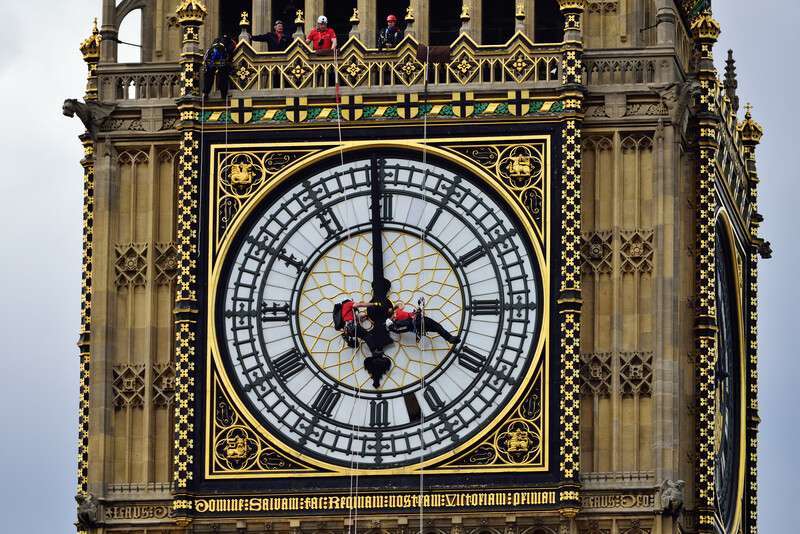 Big Ben was last given a scrub back in 2010. 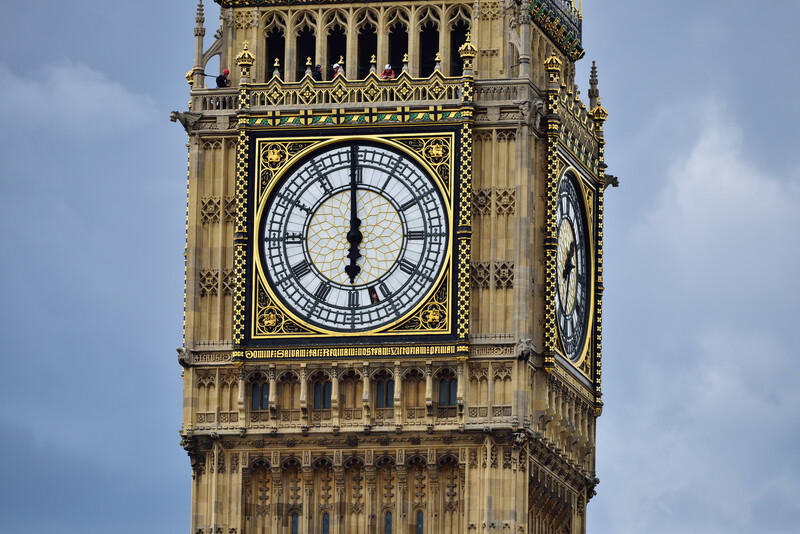 The clock will continue to keep time during the cleaning process, but the hands on the face being “washed” (as water might be damaging the cleaning is done via a chemical detergent) are disconnected from the mechanism and do not move. As well as ensuring all 312 pieces of pot opal glass are sparkling clean, the workers are going to be checking the dials for damage. 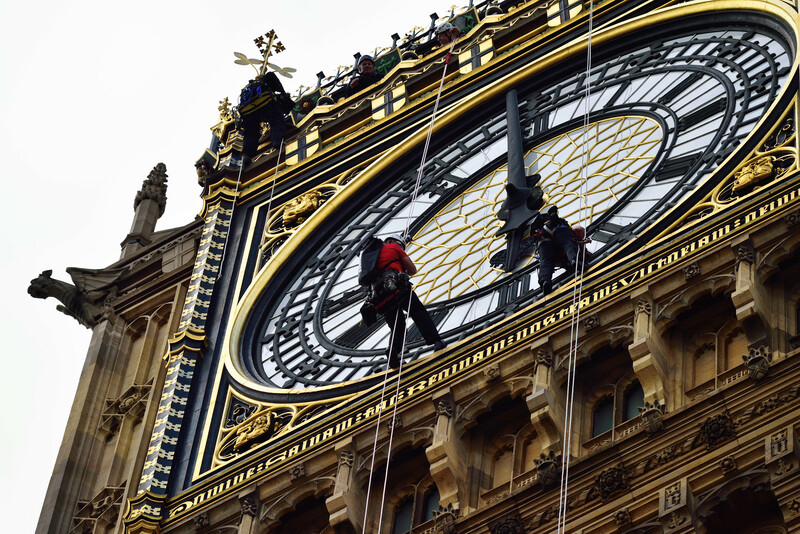 This entry was posted in Uncategorized and tagged 80-400mm, Abseiling, Big Ben, Cleaners, Elizabeth Tower, London, Nikon 80-400mm AF-S FX VR, Nikon D810, Queen Elizabeth Tower. Bookmark the permalink. Very interesting post and great shots! These shots are incredible. Fantastic combo you’re shooting with.